Explore the multiple dimensions of Ambient Keys emotion-inducing presets that will pull your heartstrings. 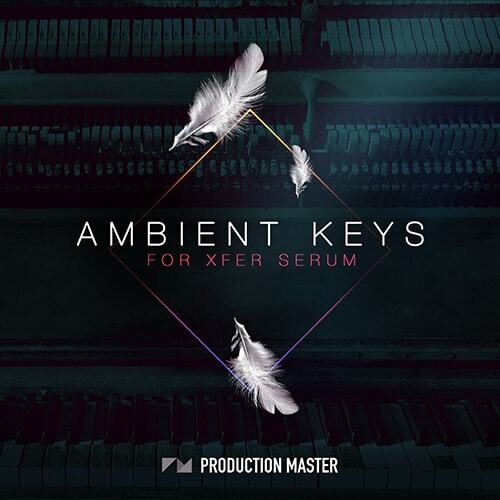 This pack for Xfer Serum focuses on key sounds that are crucial to intros, breakdowns, bridges and embody the sound of ambient, chillstep, & new age genres. Inspired by artists such as: Hans Zimmer, Bonobo, Vangelis, Enigma, Tangerine Dream, Tycho, Odesza, Gold Panda, Direct, Mr.Fijiwiji, Crywolf, Said The Sky, Eden, Lauv, Venemy, Massive Attack, Kruder & Dorfmeister, Boards of Canada, etc. • This pack contains only Xfer Serum Presets. For drums & other sounds we recommend taking a look at (Future Chill) or (Ambient Panoramas).